Russell Peters, an Canadian-Indian comedian who’s segments have circulated around the web for over a year, has finally landed himself a standup comedy “movie” on Comedy Central. Skatter Tech has been hosting both his Canadian “Comedy Now” show and his New York performance for over a year. Anyways his new movie will air on Comedy Central on August 26, 2006 at 11:00pm (pacific) check your local listings for the channel and exact timings. 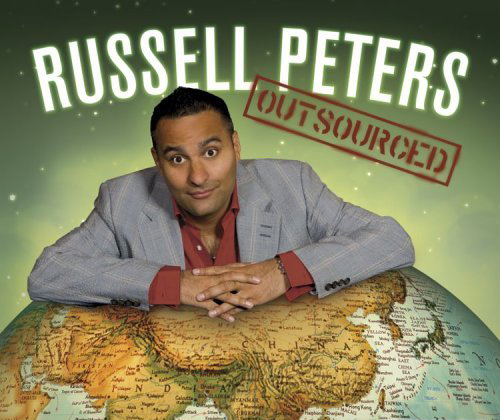 Also note that “Russell Peters: Outsourced” will be available on DVD and Audio CD on August 29, 2006. You can either pre-order it from Amazon or wait until it reaches stores. Update: See Video ‘Outsourced’ Here! The newly aired “Russell Peters: Outsourced” video, which recently aired on Comedy Central has unfortunately been requested to be removed from Skatter Tech and YouTube by Warner Brothers and CMI Management Services. We don’t really want to get stuck with lawsuits, so we have had to remove the content. Comedy Central doesn’t seem to be airing “Outsourced” anytime soon, so if you want to catch his segment you’ll either have to purchase the DVD from Amazon.com or get a hold of it elsewhere. Sorry for the inconvenience! Dude you can see me and Suhas, we were on Comedy Central. Can i get this video downloaded from the net? The “Outsourced” video is currently only offered on DVD. If you were asking where to get the video for free, we are forbidden from providing that info even if we did know. Sorry! Brillian Russel-la(idian Style man!!) My kids all love you – giv us more yaar!! I just found the entire video online on bittorrent!!! Its real good quality levels too, because it is ripped from a real DVD. Click here to download the torrent. I use this program to download it http://utorrent.com it works really great and i got it reeaalll fast. Edit: please i want to laugh! Does anyone know where we can get a CLEAR DVD of the Canadian 45 min. show? The one with the “Peach” colored background.You tube is just too blurry.Also does anybody out there know WHY we can’t BUT this version? I heard that this is still the BEST one to own.